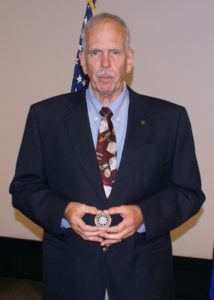 Secretary of Defense Performance Based Logistics Award (PBL) - S&K Technologies, Inc.
Clyde Lomax, S&K Global Solutions Logistics Management Anaylst with his award PBL coin. An S&K Global Solution’s employee has played a positive role at the Precision Attack System Program Office at Robins Air Force Base. Clyde Lomax is a Logistics Management Analyst and is part of a team that has been awarded the 2014 Secretary of Defense Performance Based Logistics Award at the sub-system level for their solutions in delivering support of the Sniper Advanced Targeting Pod. 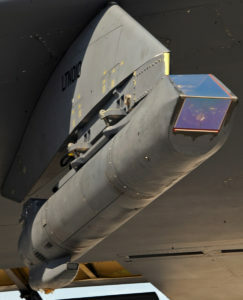 Implementing a PBL solution between the USAF Precision Attack System Program Office and Lockheed Martin Missiles and Fire Control personnel delivered exceptional support of 358 Sniper Pods. Sniper Advanced Targeting Pods are electro-optical targeting systems used in detecting, identifying and engaging multiple moving and fixed targets at combat, operational and training locations around the globe. Used in multiple Air Force platforms, including the A-10, F-15, F-16, B-1 and B-52, Sniper pods provide unparalleled situational awareness, and intelligence, surveillance and reconnaissance unmatched by enemy forces.